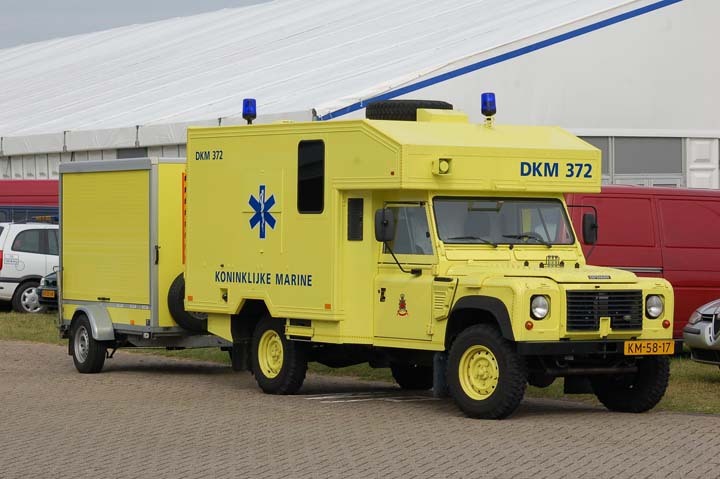 Landrover ambulance from the Royal Dutch Navy, based at Den Helder. Fantastic photo, has the photographer any other photos of the vehicle? Thanks. Added by Keith Roberts on 02 November 2008.